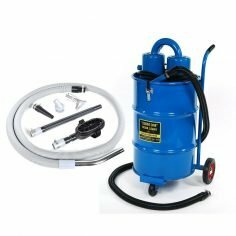 Circuiteer II Horse Livestock Blower is one of the most popular livestock blowers on the market. The two motors give you the versatility of a low power and high power blower in one compact unit. 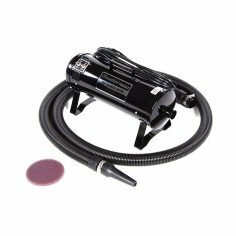 The Circuiteer II makes a great blow-off machine for dusty workplaces. 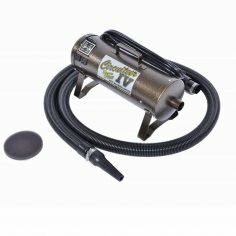 Ideal for blowing leaves from your yard, debris off your walk or driveway, cleaning equipment, shops, and barns. 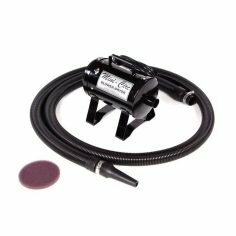 Perfect for drying water spots off automobiles and motorcycles. In the event your Circuiteer II Horse Livestock Blower may need to be repaired or serviced, we recommend using our service center to assist with your product repairs. We highly recommend routine maintenance on your products. If you need knowledgeable advice about your product we urge you to call, or fill out our contact form.